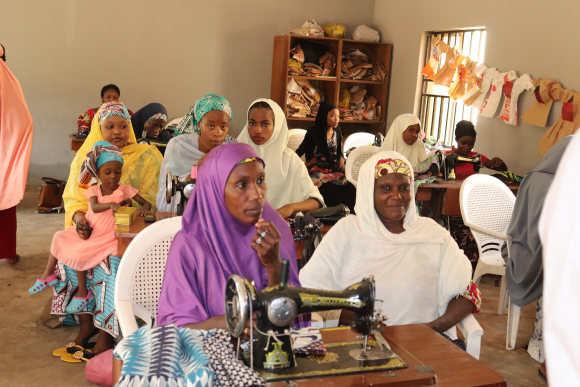 In the city of Kano in northern Nigeria, an area regularly affected by violent conflict, skills training workshops offer young people a better future. We support our local partner, Peace Initiative Network (PIN), to give young people a pathway to peace. My name is Deborah and I was born and raised in Kano. I’m 28 years old and I have 5 siblings. After finishing secondary school, I went back for further study and finished my studies last summer. I have a passion for fashion, so I always had a dream to become a fashion designer but didn’t know where to start. I didn’t know what I would do. When a relative told me about a sewing programme being run by PIN I was so happy. It’s an opportunity that very few here can get, so I grabbed it. Not only has this given me a future, the programme is also about supporting peace. Initially, the group came here as strangers from different tribes and religions, but now we know each other. It brought us together despite our differences. At the beginning, getting to know each other was quite hard, but now we are like sisters. We look after each other. If we don’t see each other for a day, we call to ask that person why they’re not around. Or, if someone is off sick, we check on each other to see how they are doing and how they are feeling. We got to know ourselves, but we also came together as one. When we’re here and are busy with our sewing activities, we don’t get into our differences. Now, when we go out to our family and friends, we preach that peace is the only way out, not violence. We try to encourage others to see that peace is the way. Without it, we wouldn’t be together. It also comes down to understanding. When this programme comes to an end, I want to advance more in sewing. With the skills I have learned in my three months here, I hope to continue making clothes. Thanks to the support of the players of the People’s Postcode Lottery, more people like Deborah can learn the new skills they need for a brighter future, through which they are helping to bring about peace in their communities. 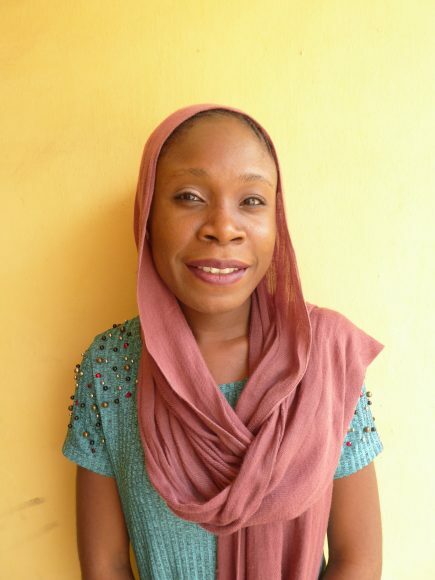 Find out more about our work in Nigeria here.